You may have heard of a young man named Monte Scott. If you haven’t heard of Monte, you may have heard of him referred to by a different name: The Pothole Kid. His nickname is a strange one. The Pothole Kid? Why would anyone want to be called that name? After hearing Monte’s story, I think you’ll understand. You may even want to carry the moniker as well. Monte is a 12-year old boy who lives in Muskegon Heights, Michigan. He’s your typical young man who goes to school, does his homework, plays with friends, and enjoys his video games. The problem was the poor road conditions in Muskegon Heights. The roads were filled with potholes. These potholes caused damage to his mom and neighbor’s vehicles. Without any prompting, Monte went to his backyard, filled a garbage can with dirt from a hole he and his grandmother had excavated for a pond, and began filling the potholes with the dirt. Monte’s efforts have not gone unnoticed. He has been featured in the Muskegon Chronicle, contacted by Fox News and CNN, and was featured in a viral Facebook video. I love these feel-good stories. I love this story even more because it’s close to home. Monte lives only a few miles from me and I couldn’t be more proud to hear of the good work he’s trying to do. He’s trying to help make the roads safer and save motorists from costly repairs. 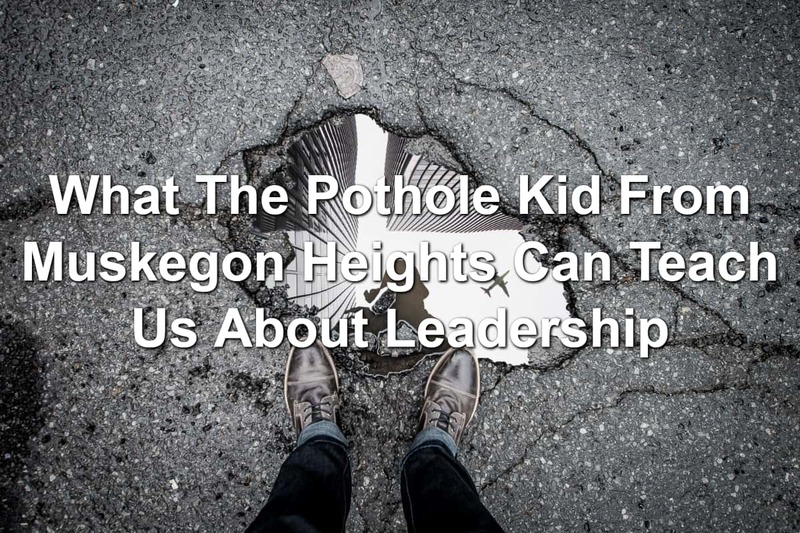 While reading his story, I began to see a leader in the Pothole Kid. He’s a leader in the truest sense. And we can learn leadership from a 12-year old boy. Most people don’t expect much from a 12-year old kid. They believe they’ll sit around the house, play their Nintendo Switch, and sleep all day. This may be true. Yet there are also 12-year olds who do more, like Monte. Leaders need to take notice of Monte. He could have chosen to lounge around on his half-day of school. Instead, he chose to do more. Leaders do more. They look at their options and choose the hard things that may take away time from rest and relaxation. They choose to work when no one else is willing. Monte saw a problem. The city of Muskegon Heights had potholes that were not being filled by the city. Leaders see a problem and then they begin to work on fixing the problems. Monte did this by getting dirt from his backyard and filling the road cavities. His efforts helped alleviate the headaches of many people who would drive through his neighborhood. However, his solution wasn’t permanent. The dirt would come out and the city would begin properly patching the potholes. When you begin to tackle a problem, you will work on solving it as quickly as you can. Sometimes your patches will only last a couple of days or weeks. You will then have to permanently fix the issue. Don’t worry if your solution is temporary. Help provide temporary relief until a permanent fix can be applied. People from Monte’s neighborhood began to notice his pothole patching. As they were driving down the road, they would stop to ask what he was doing, reward him with a little bit of cash, and thank him. 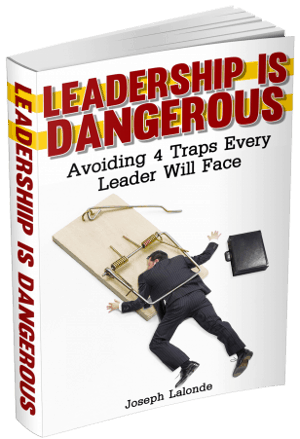 You may think your work as a leader will go unnoticed. It just might but there’s also a good chance your work will be noticed. Monte had no formal leadership training. He is still in elementary school. Yet he was able to step up and be a leader in his community. He didn’t let his age or resources stop him from doing good work. He knew things had to change and he stepped up to make the change. You may believe you’re too young to lead. Or you may believe you’re too old. You’d be wrong to think this way. Regardless of your age, you have the ability to lead. You can make a difference. Don’t use your age as an excuse to not lead. The Pothole Kid couldn’t properly patch the roads in his neighborhood. For that, he needed help. And help he received. The city and state took notice of Monte’s work. They heard about the young boy who chose to fix a problem he saw. The Department Of Public Works was sent out to begin fixing the road cavities drivers in Michigan despise. They began working on them because of Monte’s hard work. You may be the only one working hard when you first start out. You won’t be the only one in the end. By doing what is right and what needs to be done, you will set an example for others. They will see your example. Many will pick up on what you’re doing and follow suit. In the end, you will get the help you need. Will You Lead Like Monte The Pothole Kid? Every person has a choice. They can choose to live a comfortable life or they can choose to be a leader. Monte had the choice to play video games. In fact, he started off playing video games. Then he had a heart change. He saw a problem. He knew the problem had caused friends, family, and neighbors issues. And he chose to become a leader in Muskegon Heights. You will be put into many situations like Monte. You can choose to live an easy, comfortable life or you can choose to lead like Monte.